Habit: Narrowly pyramidal, upright, to 15 m tall, 7 m wide. 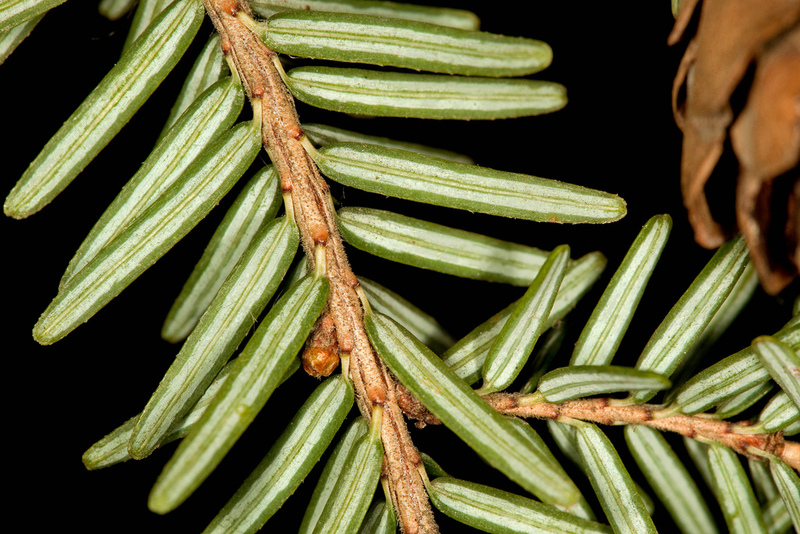 Leaves: Smallest needles and cones in its genus. Flat sprays of lacy evergreen foliage. Short dark green needles (to 9/16″ long) with two white bands beneath, arranged in two opposite rows. Needles attached to twigs by slender stalks. 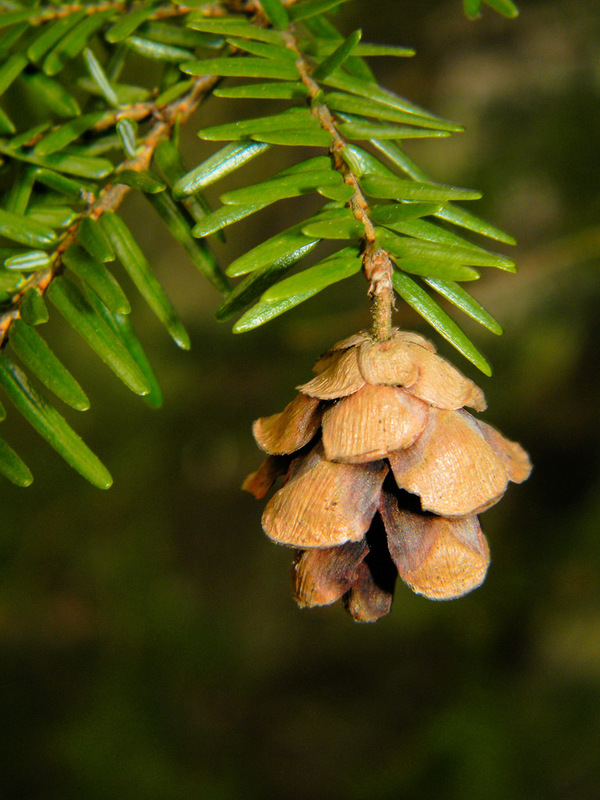 Flowers and Fruit: Small, pendant, short-stalked, seed-bearing cones (to 3/4″ long) are tan-brown. Bark: Thick, ridged bark on mature trees, red-brown to gray-brown. Water Use, Soil: Average, medium moisture, well-drained soils. Limitations: Needle blight, canker, rusts, rot, bagworms, borers, leaf miner, saw fly, spider mites, leaf scorch, hemlock woolly adelgid.